Andreas Tilliander has since the debut album “Ljud” (2001), continuously developed and modified his sound. It has sounded pop on “World Industries” and noise on “Hateless” (the latter under the Mokira monicker), but it has never sounded as the record to be released in February next year (a 12″ with remixes by praised artist Morphosis will be out as soon as 28th of November). With a new alias, TM404, Andreas Tilliander has created enjoyable ambient dub simmering with life and details. The songs have all been recorded live, in real time in the studio. A unique way of operating within today’s electronic music. – Everything is recorded in one take. Nothing is post arranged, says Andreas Tilliander, and adds that this might be his most ambitious album ever. On Youtube you can witness how Tilliander and the machines are working together. Andreas himself has filmed and posted the material. The Roland instruments’ collectable value is high. Andreas also flaunts a Roland 505 and a 909. However, they didn’t appear on the record. – The idea was to make stripped down music, so I excluded them. I also restricted myself further. The 303 has for example, two wave forms for creating sound, but I decided to only use one. The project’s name is also a tribute to Roland, although of the more intricate kind. – When they made these machines in the eighties, they avoided the 404, since the sound for four, ‘chi’, is the same as the sound for death in Japanese. At that time it was therefore taboo and the 404 was never launched. Not until now, due to my album! The Roland TB-303 is perhaps the most famous of the instruments on the record. It’s primarily associated with the acid wave from the late eighties, when bands like Phuture made dance music with croaking sounds. Right now, many artists around the world are creating acid music anew. Neo acid, as it’s called, is a big trend in the club scene. – But I only belong there partly. Sure, I love acid and this might be characterized as somnolent acid. But for starters, the record is a bit too low-key to work on the dance floors. Adding to that, I’ve chosen to make the songs poly rhythmic, hence TM404 is more related to composers like Steve Reich than acid legends such as Adonis and Maurice. Already an exclusive and huge highlight in John Digweed’s DJ sets for the past few months, “Coma”, by the superbly talented Greek producer Stelios Vassiloudis, is now ready for release on Bedrock. It also features prominently in the mix on John Digweed’s forthcoming “Live In London” (4xCD) album. Both the gloriously epic melodic house style of “Coma” and the more twisted vibe of accompanying track, “No Sleep”, reflect a new supremely dancefloor orientated direction for Stelios Vassiloudis, as he starts work in the new year on the follow-up to his 2011 debut artist album “It Is What It Is”. These super exciting new tracks, along with his recent output on Bedrock, such as “Hit The Lights” (featured on “Live In Cordoba”) and “What’s That?” (a highlight on Bedrock 14 along with his stunning remix of Jemmy’s “Quarry Bank”) are indicative of what is on the horizon for his highly anticipated new album in 2013. After the success of his remix of Thinking on DFM001 we welcome back none other than TOKA PROJECT for a full release on DIZZY FUNK MUSIC and a crackin jackin remix from JAY MARKS. Following the release of Sebjak’s definitive Summer anthem ‘Follow Me’, an impressive selection of talent has been collected on this diverse remix package. “Follow Me” was Sebjak’s first release on Positiva Records. Following support for the original Mix from Andi Durrant (Capital FM, U.K.), among others, and charting on the Music Week Cool Cuts and the DMC Buzz Chart, this Summer saw the release of the new vocal version. “Follow Me”’s epic irresistible vocals, massive hooks, delicate keys and emotive chord play made it a definitive Summer anthem. 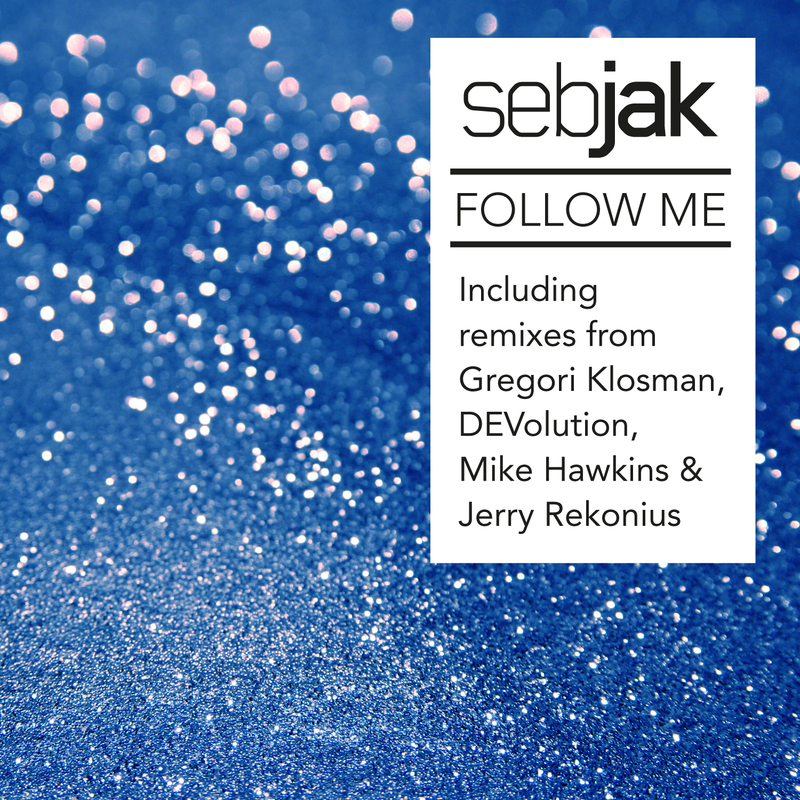 Now ‘Follow Me’ is getting the remix treatment from a diverse lineup of talent, with Gregori Klosman, DEVolution, Mike Hawkins and Jerry Rekonius all putting their own spin on the original. Having watched the rise of his fellow countrymen, Sebastian Jak set out to become the next success story in Sweden’s already impressive dance music history. By 2006, Sebjak as he was now known started to produce music of his own. Having pricked the ears of the likes of Steve Angello, Axwell and Sebastian Ingrosso with his fresh and energetic approach to production, Sebjak was asked to remix for the world-acclaimed Size Records with fellow producer AN21. His stock rose immediately and Sebjak began to pull in the attention from the biggest DJs and producers in the world. Erick Morillo and his Subliminal label were next to release the young Swedish producer, unleashing his collaboration with Richard Grey, ‘Pump Up The Volume.’ David Guetta and Tiesto were just two of the single’s many supporters. Remixes have also seen the 24 year old Swede add his deft touch to Laidback Luke, Arno Cost and Norman Doray’s hit, ‘Trilogy’ which was released on Luke’s own imprint Mixmash, in addition to Swiss Official vs. Kings Of Tomorrow ‘Changes’ which saw another release on Size Records. Sebjak was also responsible for a killer remix of Mogui’s ‘We Want Your Soul’ which went on to be bootlegged by Swedish House Mafia for their famous hit ‘Leave The World Behind,’ the track they decided to close their Masquerade Motel residency in Miami 2011 with. Sebjak is a regular behind the decks in clubs around the globe. From England to France, USA, Germany, Israel, Swiss, Dominican Republic, Morocco, Serbia and Brazil, which has become his favourite place to tour, Sebjak has rocked them all. Standout gigs have included LIV in Miami, Subliminal Sessions at Arkadia and an incredible performance at Summerburst in Stockholm in front of 12,000 people. When not out on the road solo, he can spotted with any other top name from Steve Angello, Sebastian Ingrosso, Axwell, AN21 Max Vangeli, Bob Sinclar, Norman Doray, Arno Cost, Laidback Luke, Moguai, David Tort, Avicii, David Guetta, John Dalhbäck, Eric Prydz and beyond. A young artist with exceptional musical talent, able to create the most amazing music and with the vision and drive to develop his own distinct imprint is most definitely someone to take notice of. 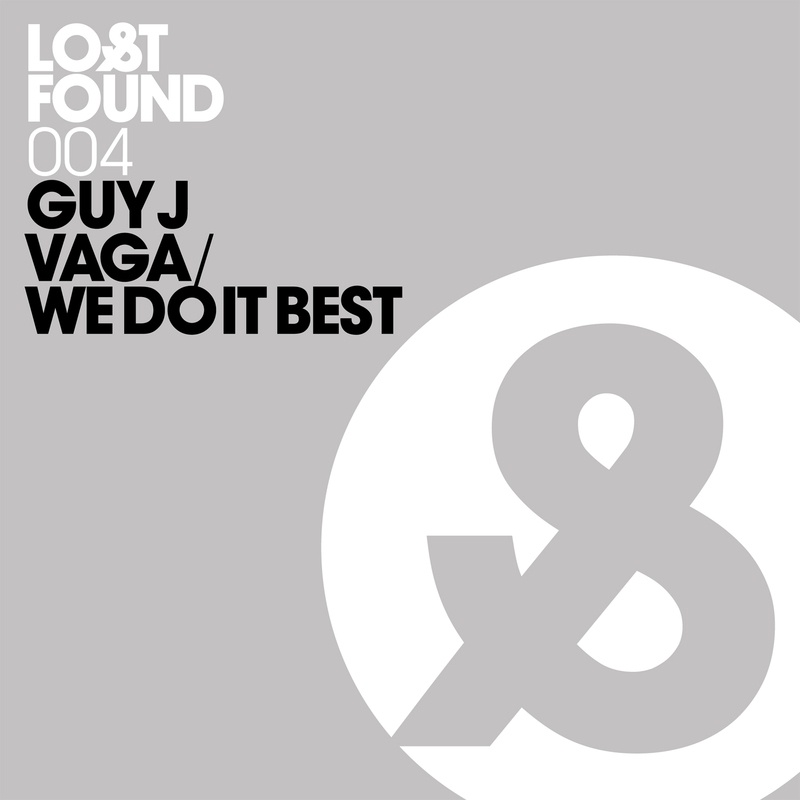 Guy J’s debut label release, “Lost & Found”, showcased his extraordinary talents perfectly, now he returns with “Vaga” and “We Do It Best”, once again showing that Guy J can push melodic emotion buttons like no other. With “Vaga”, he waves his hypnotic magic, building an astonishingly powerful track that seems to build forever upwards to euphoric heaven before dropping back to an irresistible groove-based finale. From here, “We Do It Best” continues the theme with a heavier, heads-down, hot and sweaty, late night dark dance floor attitude, gradually turning up the pressure, until the very last drop of emotion has poured out of the speakers. Two more masterful creations from Guy J, there can be no doubt that he is one of the standout electronic artists in the world today.